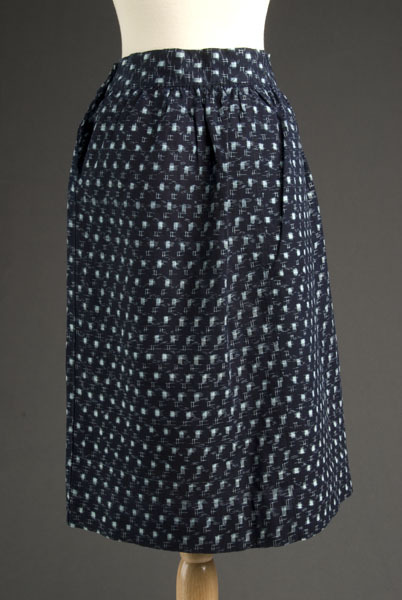 1 kasuri skirt : cotton ; 25 x 47 in. 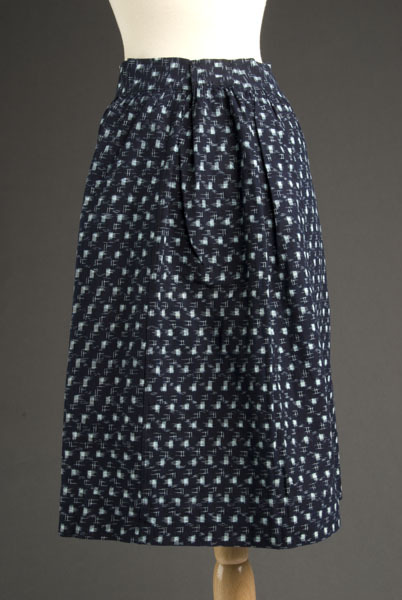 Dark indigo blue kasuri dirndl skirt with turquoise square basket weave pattern is composed of 3 - 13.5 in. panels and 1 - 6 in. panel. 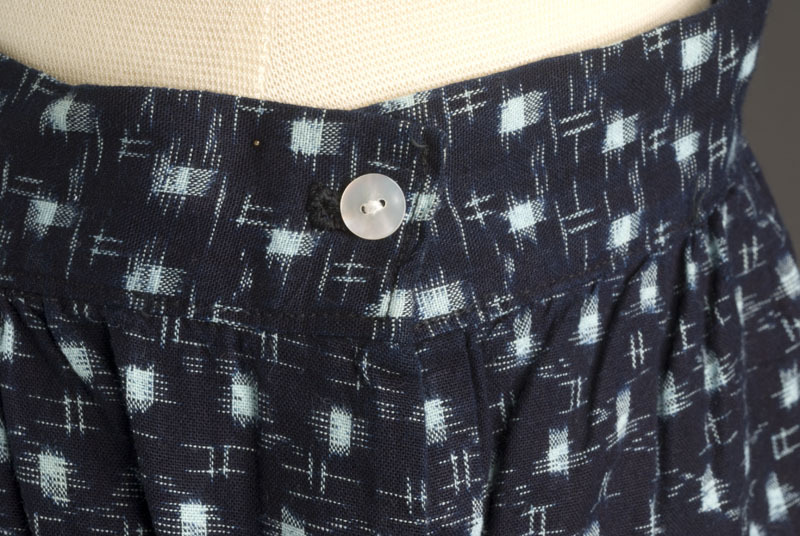 Skirt is gathered at waistband (1.75 in.) 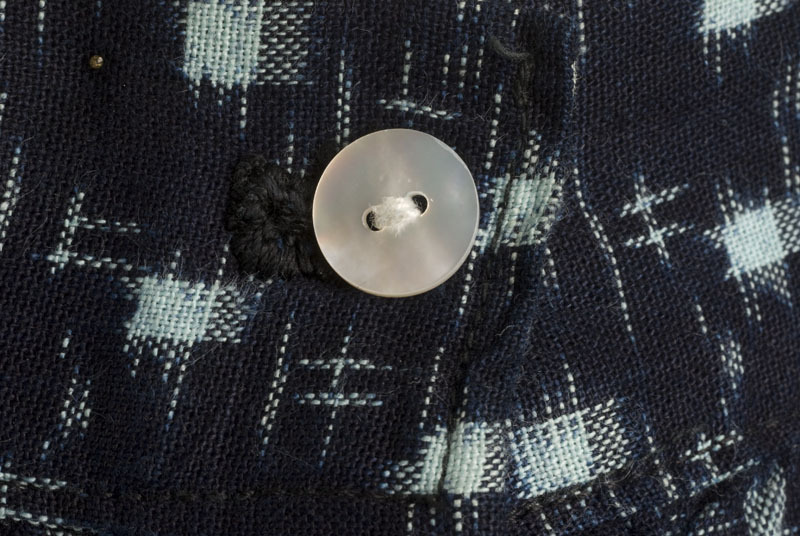 and is secured with mother of pearl button and side button closure. Measurement at waist is 30.25 in. with 1 placket overlap; 47 in. at hem.